This blog is brought to you by all of the leftover holiday meal ingredient in my refrigerator. I’m sure you know what I mean – that special item or spice you bought for the new recipe you just had to make for Christmas or New Year’s that is just staring back at you. This Wild Chanterelle Mushroom Sauce is a result of using the ingredient remainders from my holiday meals, with the intent to always use up what I have bought (and encourage you to do the same!). I loosely followed Giada’s recipe for mushroom ragu, swapping out quite a few ingredients for what I had on hand. 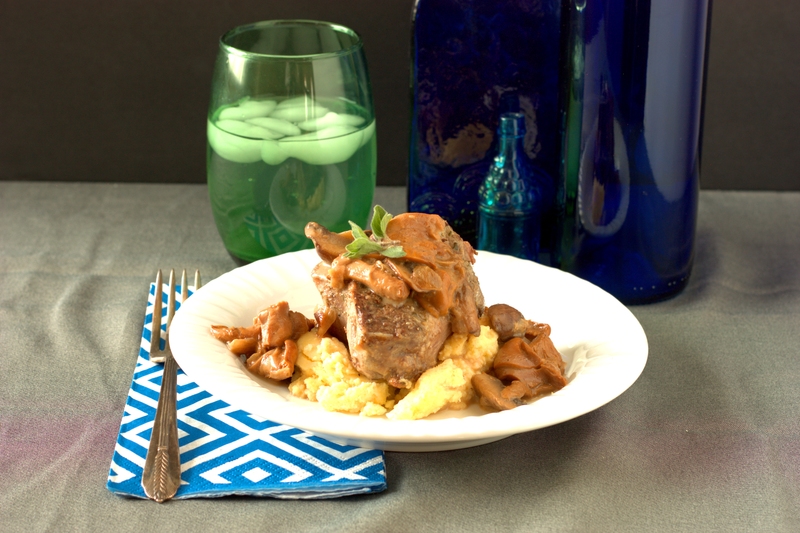 The main ingredient in my version – chanterelles – were procured in a large (1 pound!) container from Costco. I had never seen such a large container of wild mushrooms and I was eager to cook with them. One of the other ingredients – cream sherry – was used in my Langostino Lobster Bisque. I used the sherry in replace of the Marsala in the original recipe. 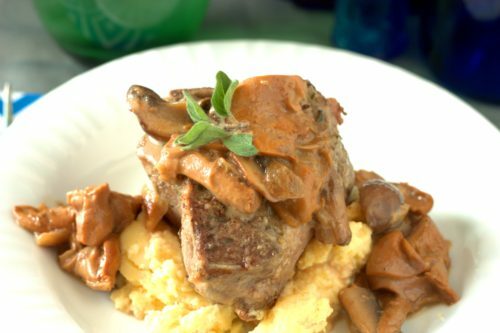 This Wild Chanterelle Mushroom Sauce also makes a great topping. 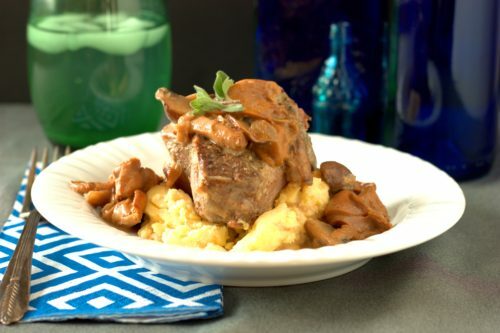 You can enjoy it over lamb with polenta, steak and mashed potatoes, or even pasta. I haven’t decided which one is my favorite! Heat the oil in a large skillet over medium high heat. Add the onions and saute for 5 minutes or until they begin to brown, then add the garlic and saute for 1 minute longer. Add the mushrooms and cook for 8-10 minutes, or until mushrooms are tender and some liquid remains in the pan. Add the stock and cream sherry and bring to a low boil and cook for 10 minutes longer, or until about half of the liquid remains. Remove from the heat and stir in the half and half and salt. Serve. This entry was posted in Condiment, Entree and tagged Adventurous Ingredient, holiday, mushrooms.